Have you been turned down for business (or personal) financing in the past due to bad credit? At ARF Financial we can often work around your credit score to provide business funding, but you should still work on getting your credit score to trend in the right direction. Today we’re sharing five tips for improving your credit score. If you have maxed out credit cards or cards with high balances, you’ll want to start paying them down as quickly as possible. You should carry a balance of no more than 35% of your total credit limit, but getting closer to 10% is even better. 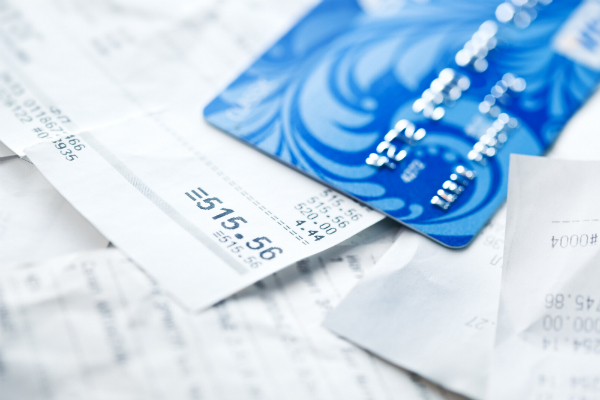 While you’re paying down your credit cards, also consider your overall debt-to-credit ratio. This isn’t about an actual dollar amount, but rather the percentage of overall debt you have in relation to available credit. To improve this ratio you can: pay down your credit card balances, ask for a credit increase or transfer all of your credit card debt into a personal installment loan. If you have a negative mark on your credit report due to an account being sent to collections, it’s time to try and rectify the situation. You should call the collections agency listed on your credit report and negotiate a settlement. In many cases the agency will agree to remove the negative mark from your report if you pay them in full. Before you make any payments, be sure to get it in writing that the agency will remove the mark after the account is paid up. Note that not every agency will be willing to negotiate with you, but it’s worth a try. If you have any accounts that are past due, you’ll want to bring them current as fast as possible. The bulk of your credit score comes from your payment history, which means you want this area to be as clean as possible. Once you are current, do everything you can to continue making your payments on time. Whether you have a big ticket item you want to purchase in the future or not, you should not save money at the expense of missing payments on things you already owe. It can be tempting to sock some money away for personal or business expenses, but your priority should be staying on top of your bills. This is the best way to improve your credit score so that you can obtain business financing (at desirable interest rates).